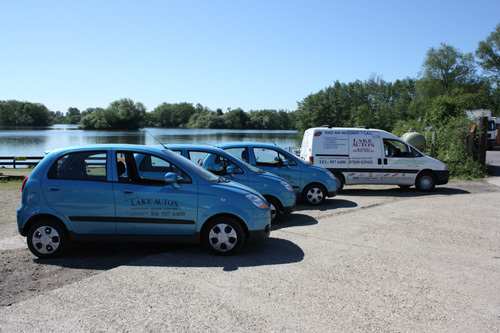 Lake Autos, Motorbody Accident Repair Specialists are an independent vehicle body repair shop on the edge of Reading in Berkshire. We have a team of good experienced staff who take pride and care in their work we know we can repair customers vehicles to the highest standard in the quickest possible time and get them back on the road. We deal with all makes of vehicles and any accident damage from a small scratch to a major accident repair. If you are looking for a new repair service in the Reading area, a repair service to assist as an overflow to an existing repairer in the Reading area, a repair service to deal with your non fault accidents and a repair service with very high standards please call Paul or Steve on 0118 957 6450. We thank you for taking the time to look at our new website and very much hope we may be of some service to you.